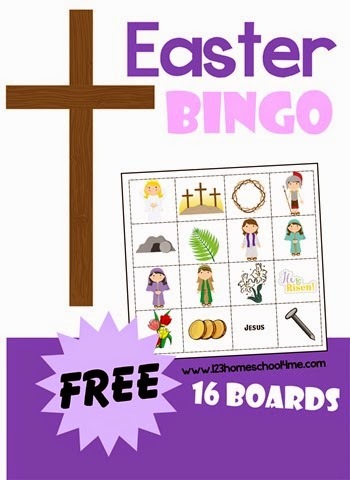 123 Homeschool 4 Me has a FREE Easter Bingo that includes 16 boards! As this activity is picture based it works well for toddler, preschool, kindergarten, 1st grade, 2nd grade, 3rd grade, 4th grade, 5th grade, and 6th grade kids. Thank you for you generosity. Grandchildren will love the Easter Bingo game.